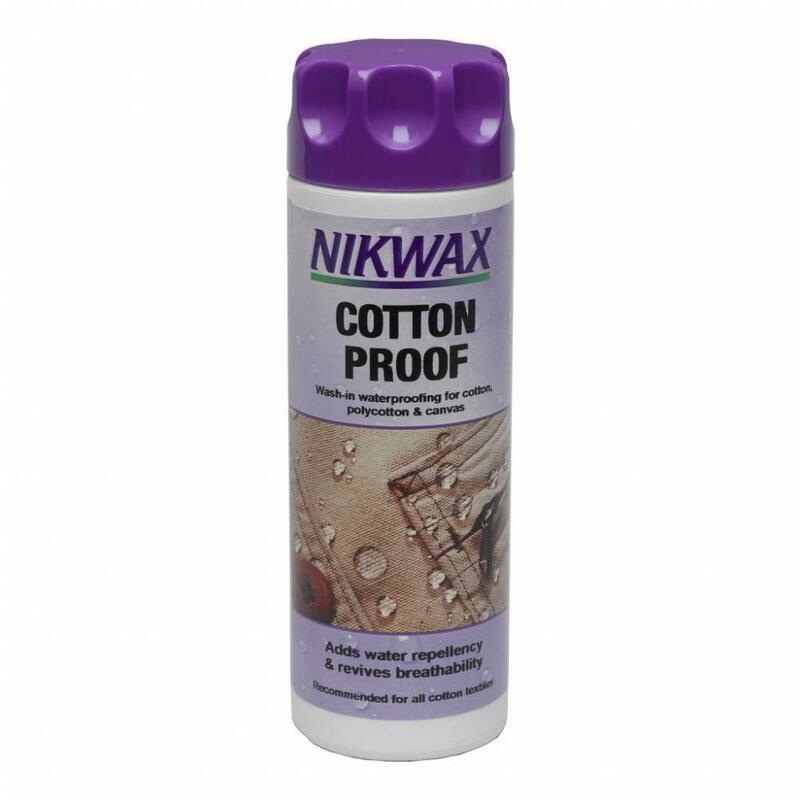 Nikwax Cotton Proof is an easy to use, wash in waterproofing liquid for all cottons, poly cottons and canvas. It adds a durable water repellent which reduces the weight gain while maintaining the breathability of the fabric in wet weather. Air dry or tumble dry on a low setting if care label allows.To maintain waterproofing always wash with Nikwax Tech Wash®. Do not use detergents. Air dry or tumble dry on a low setting if care label allows. To maintain waterproofing always wash with Nikwax Tech Wash®. Do not use detergents. There are currently no questions for Nikwax Cotton Proof - be the first to ask one!